Apply or nominate someone now! The new AFS annual award will recognize one extraordinary young person for their commitment to improving the global community with a US$10,000 cash prize, trip to Montreal to attend the AFS Global Conference, international recognition and membership in the AFS community of young and active global citizens. Applications accepted from 27 March until 31 May. Subscribe to AFS Now to receive more information. Who can win this prize? 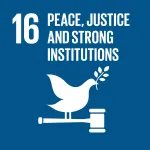 Young people who are leading a project that brings together individuals and communities (representing different cultural, ethnic, religious or other differences) to tackle one or more of the United Nations Sustainable Development Goals (SDGs) can be nominated. The AFS Global Citizen Prize for Young Leaders will be awarded to an individual who demonstrates a compelling approach to foster intercultural understanding. AFS will shortlist the qualified applications to a pool of finalists and contact them for further information. The finalists will be shared with a distinguished international Selection Jury who will choose the Prize winner that will be announced on 10 October 2019 at the AFS Global Awards Ceremony during the AFS Global Conference in Montreal, Canada. How to nominate yourself or someone else? Candidates who fit the criteria can apply for the AFS Global Citizen Prize for Young Leaders by filling in the application form and submitting it before 31 May 2019. Only one application (focused on one project) per person will be considered. Candidates for the AFS Global Citizen Prize for Young Leaders can also be nominated by someone else. The nominator should provide basic information within the designated form, after which AFS will notify the candidate about the nomination, complete with criteria and application. One person can nominate as many candidates as they wish. The number of nominations received will not influence the selection of the Prize winner. Only fully completed applications submitted before 31 May 2019 will be taken into consideration. Following a review of completed applications, we will contact finalists for more information in order to select the Prize winner. In 2015, world leaders agreed to 17 goals for a better world by 2030. These United Nations Sustainable Development Goals have the power to end poverty, fight inequality and stop climate change. AFS knows that social, economic and other important issues today transcend national boundaries and cannot be resolved by any one group alone. Alongside our other AFS Global Awards, this prize reaffirms AFS’s commitment to developing active global citizens from all backgrounds. To solve pressing 21st century challenges, AFS develops Active Global Citizens who take action to make a positive difference wherever they live, learn, work and volunteer. This prize is made possible thanks to a generous AFS alumni donor who wishes to remain anonymous. What does it really take to “learn to live together” in a just and peaceful world? 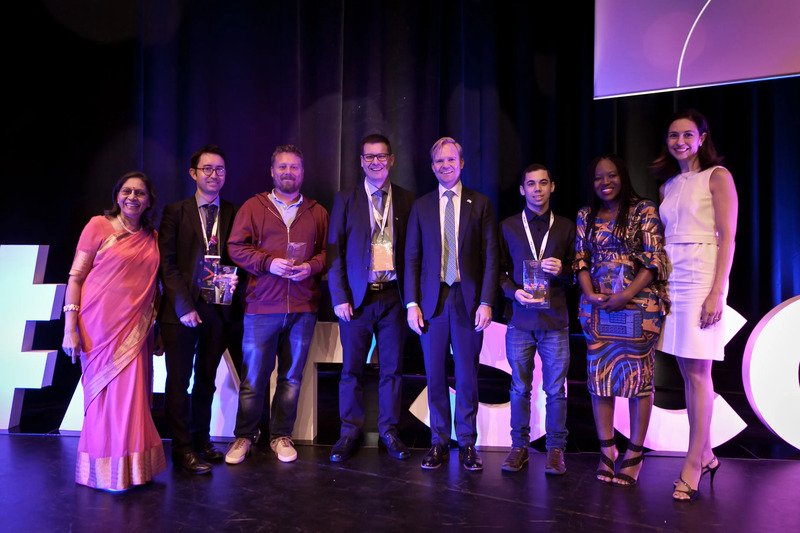 At the inaugural AFS Global Conference on global competence in Budapest (26-28 September) five awards were presented to individuals, organizations and institutions whose worthy initiatives exhibit an outstanding commitment to championing global competence. The 2018 AFS Global Citizen of the Year Award was presented to Regina Honu, Founder of Soronko Solutions. Faced with resistance and misperceptions about the full potential of girls, this young software designer founded the first coding and human-centered design school for children and young adults in West Africa. 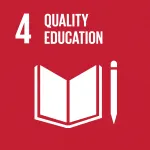 A vocal advocate for the integration of global competence education into school curricula is Andreas Schleicher of the Organisation for Economic Cooperation and Development (OECD). A well-known leader who has fueled this movement with his passion, expertise, and commitment, he is the first recipient of the AFS Global Leader Award. Global competence education stresses the importance of empathy—the ability to understand and share the feelings of another. By leveraging online video conferencing and shared activities, Empatico empowers teachers to partner with educators worldwide to foster empathy at a whole new level. This has recommended them to become the inaugural recipient AFS Award for Innovation in Global Education for an Organization. The Department of Education of the State of Paraiba in Brazil received the AFS Award for Innovation in Global Education for a Policymaker. Determined to raise literacy rates, promote education excellence and develop more active citizens, this government body launched “Gira Mundo,” which translates to “Spin The World”. Since 2016, 350 high school students and 155 teachers and counting have traveled to such countries as Portugal, Spain and Canada. The AFS Award for Innovation in Global Education for a School was awarded to the Budapest School, and its founder and CEO Peter Halacsy. A true social entrepreneur, Péter Halácsy is a also Co-founder of Prezi, the well-known presentation platform. Based in his firm belief in the power of education and driven by the desire to give back, Péter took charge of founding this unique school. Subscribe to AFS Now to receive AFS news in your mailbox! AFS study abroad, learning journeys, volunteer and social impact programs empower young people with essential skills to become active global citizens.